Display page: Preview your page to see how others, who have access to it, would see it. Page URL: You see this option if your site administrator activated clean URLs. 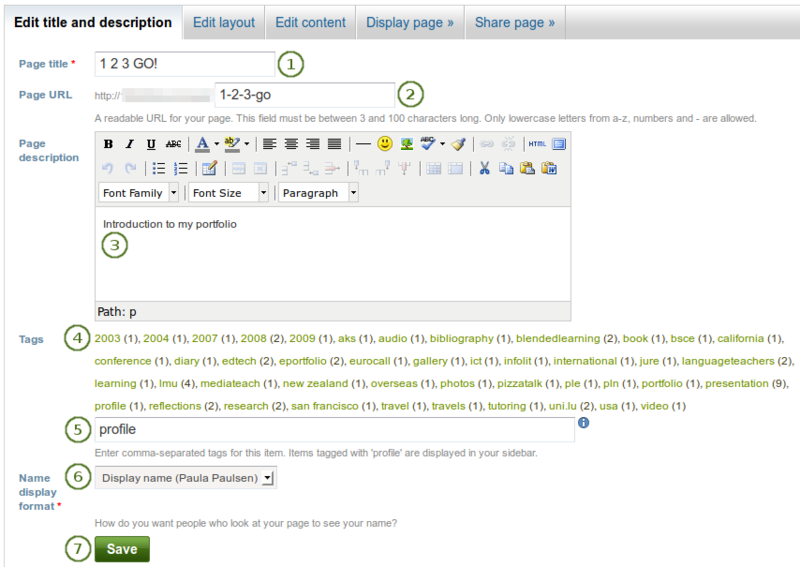 Choose the name for your page if you do not like the default one. It must be 3-30 characters long. You can only use lowercase letters from a-z, numbers and - (hyphen). If you either do not yet have tags or want to use new ones, you can type them into the text box. Separate multiple tags by commas (and a space). Tags that you have chosen from your existing list of tags are listed in this text box as well when you have clicked on them. 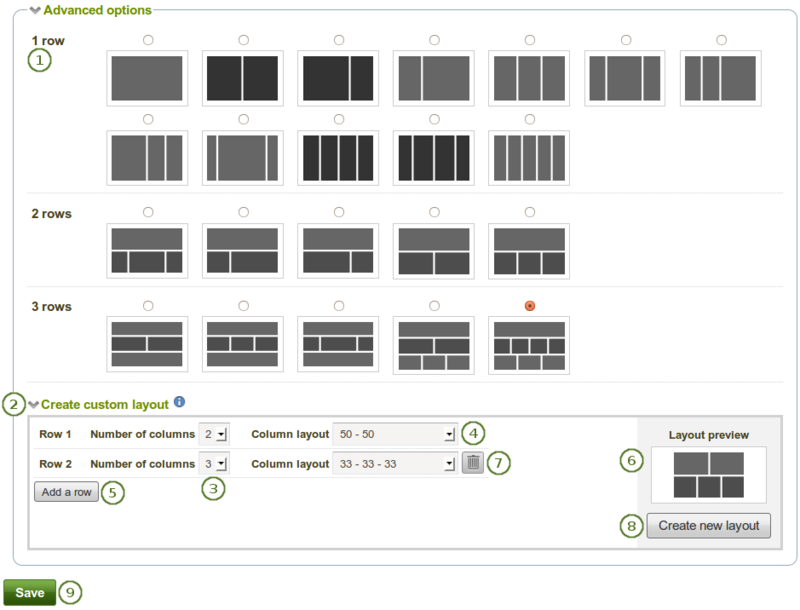 The layout editor is very flexible and allows you to design your layout not only in columns but also in rows. You can decide how many columns each row shall have and also decide how each row shall differ. Basic options: Click the radio button above the layout that you wish to apply to your page. You can change it at any time. When you reduce the number of columns, your blocks simply move to the first column. You can then move them around to their correct position (see page layout area). Advanced options: If you wish to have more complicated page layouts, you can choose those here and even create your own layouts. 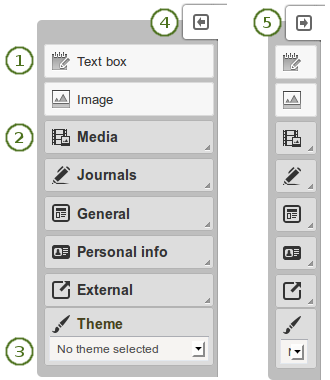 If you want to have more options or even create your own layouts, you can choose to view the Advanced options. Click the radio button above the layout that you wish to apply to your page. 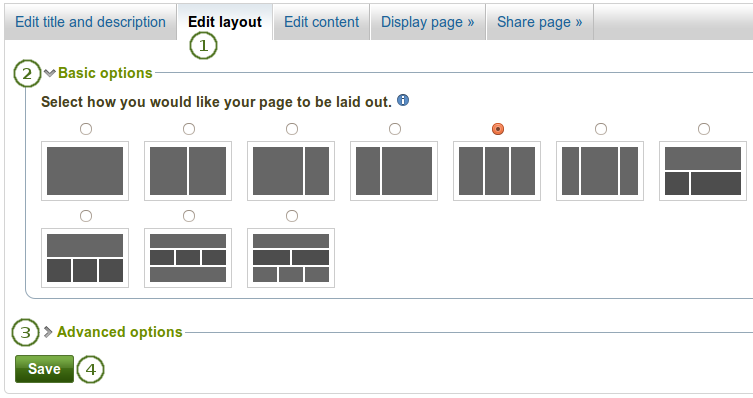 Click the Create custom layout link to view your options for creating your own layouts. Click the Add new row button to add more rows with a different column layout. You can create up to 6 rows. Click the Delete button to remove a row if you do not want it in your layout anymore. You can add more than one block to a row. The blocks will then be placed underneath each other in the column that you have chosen. If you wish to change the block layout, you can always add another row that has a different column distribution. You can select the text box or the image block directly as these are two of the more frequently used content items. Theme: You may be able to choose a theme for your portfolio page. If that is the case, you see the Theme drop-down menu. 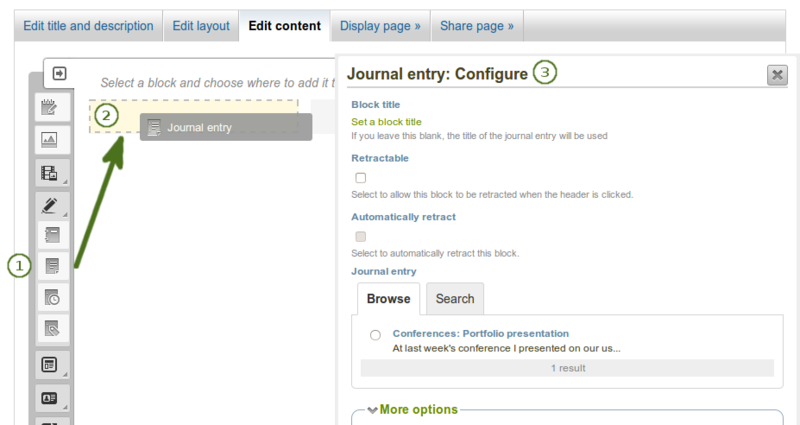 That allows you to select a theme in which that page is displayed to others who view your portfolio page. If the option “No theme selected” is displayed, the default theme is applied automatically. All content is placed into it by dragging and dropping their blocks into this space. You can drag and drop blocks by clicking their headings. You can change the settings of a block by clicking its Configure button .